Since we are a husband and wife team = making and creating every piece with our own two hands in our Santa Cruz studio - we can't create enough inventory to wholesale our jewelry to stores (and stores take up to 50% of the sale price). For the best prices and selections come see me at a show (here I am at Los Altos Art & Wine) or email for photos of what we have in stock at krista@santacruzeaglass.com. 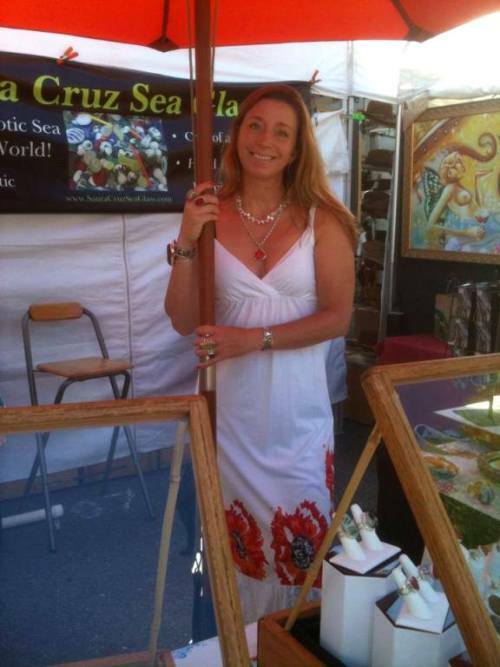 Thank you for supporting our sea glass art!